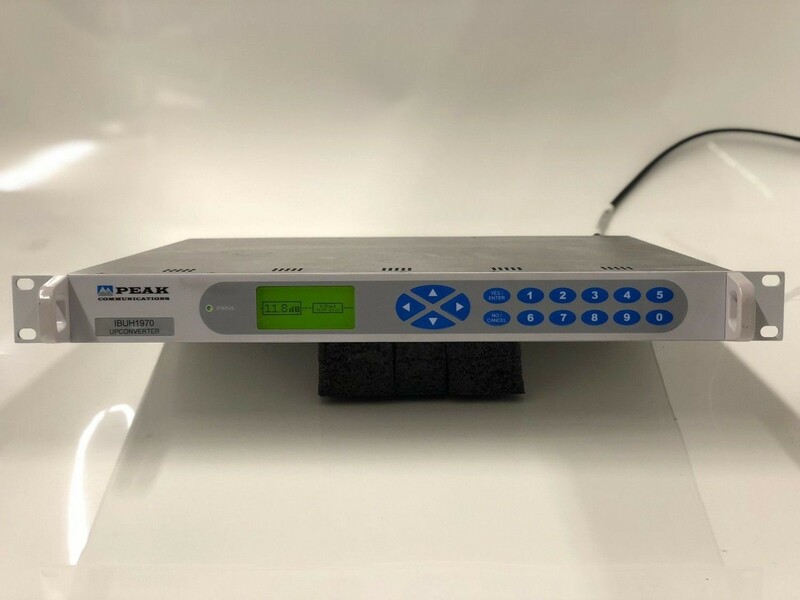 The 19-inch 1U rack mounted IBUH(Ka) series of block frequency up converter units from Peak Communications are designed to take the output of an up converter or modem at L-Band and produce an output at SHF. The IBUH(Ka) series of units are mains powered and are constructed of high grade components to give the ultimate performance. For redundancy the IBUH(Ka) uses a simple CANBUS® interface and has an integral redundancy controller for 1+1 & 2+1 operation (for use with external T1000HH(Ka), T2000HH(Ka) switch units), also compatible with the RCUH100/ RCUH200 series 1+1/ 2+1 redundancy controllers. For N+1 systems the RCU1002(Ka) series is offered. The unit incorporates a graphics display module, membrane keyboard and features a clear and intuitive control and configuration menu fully utilising the unique graphics display. With optional input power monitoring ‘built-in test’ enhancement features, compression warning alarms and attenuation control, this product series offers the user the ultimate in controllability.